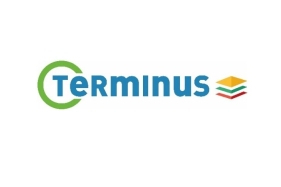 A new European project, TERMINUS, was has officially been launched at the beginning of 2019 with the aim of increasing the recyclability of multi-layer plastic packaging. TERMINUS is funded by the European Union under Horizon 2020, grant agreement 814400. TERMINUS (in-built Triggered Enzymes to Recycle Multi-layers: an Innovation for Uses in plastic-packaging) addresses the challenge of unlocking recycling and reuse of flexible multi-layer and multi-compounds packaging materials used for food, beverages, cosmetics, pet food, fertilisers, any perishable goods in general. Known for its invaluable properties, multi-layer packaging is widely used in many packaging applications. However, these materials are non-recyclable given the conventional recycling methods, and therefore largely incinerated or landfilled. A range of smart enzyme-containing polymers with triggered intrinsic self-biodegradation properties will be developed, acting as adhesives or tie layers in the design and manufacturing of multi-layer plastics for food and non-food applications. The technology will be applied to biodegradable PUR-based adhesives for adhesive lamination and extrusion coating lamination, and polymers and tie layers (PBS, PLA, PPC or PCL) in blown extrusion. Controlled bio-degradation of these adhesives and tie layers would enable the separation of the different layers (e. g. PET, HDPE, LDPE or Aluminum) of the packaging, which can then be recycled using conventional recycling methods. The project will result in major market opportunities for European industrials in several well-established markets ready for market opportunities: plastic packaging, industrial enzyme applications, PUR adhesives, biodegradable plastics, biotech plants and mechanical recycling. At least 15% of improvement of economic efficiency compared to current solutions (landfilling, incineration) is expected, with a reduction in landfilling for multi-layer plastic packaging of over 80%, as well as a reduction of overall plastic landfilling by 55%. Furthermore, a minimum decrease of 65% of the overall CO2 footprint will be achieved. Increasing the recyclability of multi-layer packaging will significantly aid the efforts of reaching the target of recycling 55% of packaging waste by 2030, as set by the European Commission. The TERMINUS consortium includes: SIGMA Clermont, Centre Technique Industriel de la Plasturgie et des Composites (IPC), Alma Mater Studiorum - Universita di Bologna (UNIBO), Fachhochschule Nordwestschweiz – Switzerland (FHNW), Organic Waste Systems NV (OWS), Plastics Recyclers Europe (PRE), Covestro Deutschland AG, STTP Emballage SAS, Tetra Pak Packaging Solutions AB, State research institute Center for Physical Sciences and Technology (FTMC), Biopox SRL, Norner and Benkei. For more information please visit www.terminus-h2020.eu. The project is coordinated by Prof. Vincent Verney at Sigma-Clermont, France. Project activities in Lithuania are managed by Chief Researcher Dr. Svajus J. Asadauskas at Center for Physical Sciences and Technology, Saulėtekio 3, Vilnius, LT-10257.